The B299 POPEX Module is an SDI2 compatible device. 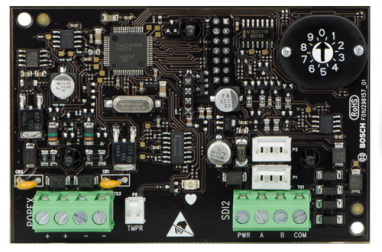 The module communicates to the control panel over the SDI2 bus, and provides support for up to 100 POPIT (Point Of Protection Input Transponder) devices. This occurs over a single expansion loop using two pairs of terminals.